On October 11, 2011 Honda Aircraft Company announced that it had encountered problems with the GE Honda HF120 engine during ground testing. 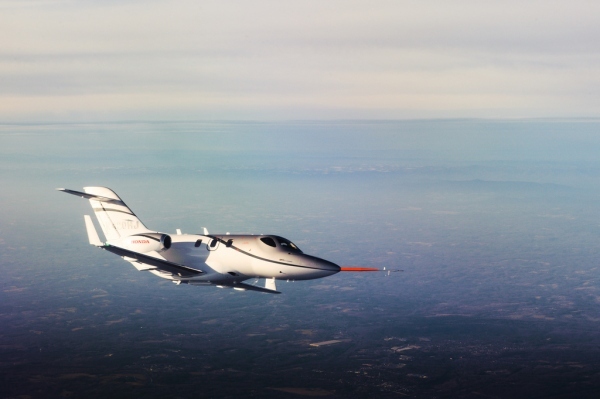 The HondaJet engine problem happened when the HondaJet Engine was undergoing ice ingestion tests. The HF120 engine was unable to maintain an appropriate amount of power when a slab ice was ingested into the engine. Honda Aircraft says they are able to correct the HondaJet engine problem by installing thicker fan blades. Currently Honda Aircraft company is expecting that the GE Honda HF120 engine will be certified in 2012 and that the Honda Jet Engine problem will push back the first deliveries of the HondaJet to 2013. Honda Aircraft has fixed these engine problems and has announced that the jet will enter into service in 2015. Also note that the HondaJet Engine Problems are also refered to as the Honda Jet Engine Problems and the Honda HA-420 engine problems. Above HondaJet Photo by Honda News on Flickr. Photo released under a Creative Commons License. The HondaJet has been certified by the FAA and Deliveries of the Jet began on December 23, 2015.